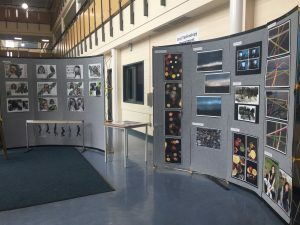 As May draws to a close, and the academic year comes to an end for the University and Higher Education system, it is always a great experience to take a trip around the creative departments and enjoy the fruits of their labours of the past three years or so. 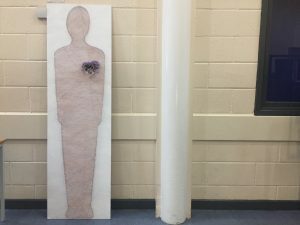 Wait around another month and a bit, until early July, and it is fairly commonplace to now be able to view the kind of talent that will be available to higher education in the coming year. 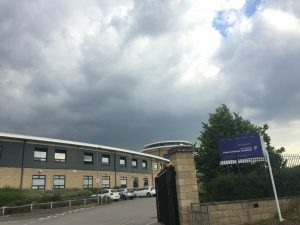 This year I visited the MADDFest; a celebration concluding the first year of Cockburn John Charles Academy joining the Cockburn Multi-Academy Trust (MAT). Sitting in the shade of the courtyard on a warm sunny Thursday evening at the newly re-named Cockburn John Charles Academy, it is heartening to hear students and teachers busying themselves in their preparations for the forthcoming variety show, reviewed elsewhere in South Leeds Life by Jeremy Morton. Having just spent the previous forty-five minutes chatting to staff as I walked around the visual art displays, I reflect upon the importance of art as part of a larger picture, one that includes not only other creative disciplines; such as the forthcoming dance, theatre, performance and music aspects, but of education, society and business as a whole. 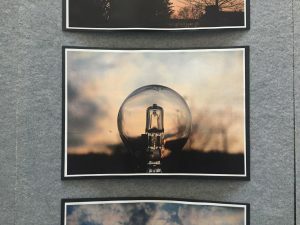 Over the course of the last year the school has diversified in the subjects that it covers within the art part of the syllabus, but this end of year show is once again dominated by a selection of photography work by students. 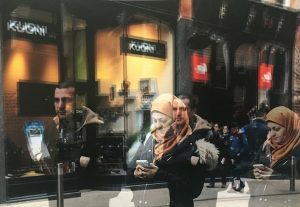 Of particular note in this category was work by Nabilah Yasmin whose composites of photographs taken in sequence give the impression of movement and pace of life; the landscapes of Natalia Jagusaik and the black and white illustrated portraits of Marya Mahmood. 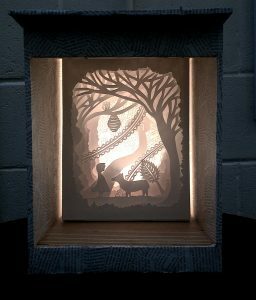 Elsewhere an illuminated box by Aisha Aurangzeb contains a sinister shadowy fairytale style image, and another piece featuring a life size representation of a person made using nails and red cotton. 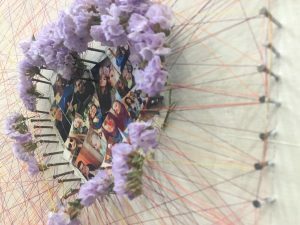 At the centre of the piece a heart created from images of, presumably, family life. Alongside the displays of finished work are a number of sketchbooks that give an insight into the processes that the students have gone through to reach the final piece, and some of the artists, designers, photographers that they have been studying to back up their work. It is also a useful reminder that this kind of work can go in a very commercial direction, designing posters, bottle labels, etc or can head down a much more conceptual route. It is important to remember that at this stage of educational life this is only the beginning. 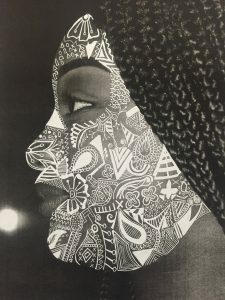 It is from this point that creativity can take flight in many different directions leading to amazing discoveries, inventions and/or bodies of work that can occupy an important place in the development of society as a whole. It would be easy to go with the current hype that suggests that only the scientific, technical, engineering and mathematical (STEM) elements are educationally valuable to the future of the country; but to discount the importance of creativity and the ability to visualise things that can only be talked about in other disciplines would be to discount thousands of years of human development that goes back to crude paintings on cave walls. It is not just about discovery for the benefit of human life though, it is also about our ability to learn more about the world around us and express our experiences of it. Unfortunately there was far too much work to mention in detail in this article but on the face of it the future of artistic is a bright one. To the students and staff of Cockburn School and Cockburn John Charles Academy enjoy your well deserved summer break. I look forward to seeing future MADDFest’s.